Tickle your senses at mealtime. 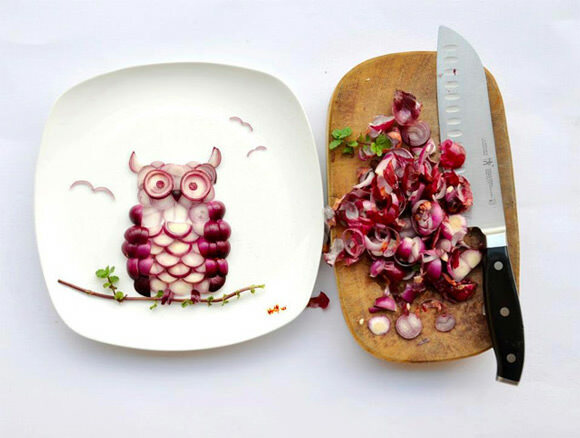 Add delight to your plate by cutting fruit and vegetables into fun shapes. Noodle, sliver, or zest them and who knows what you will come up with! Maybe you will find a little beet bird in a nest of slivered zuchinni or a radish bunny hopping towards a baby carrot. Perhaps there will be a fresh bouquet of broccoli flowers amidst neon greens. Let the playful part of yourself loose and have fun being creative. Then savour the magic you created and savour every last bite!